It’s partly because I love the Wizard of Oz but also because I really want to believe in the magic that comes when people have fun. 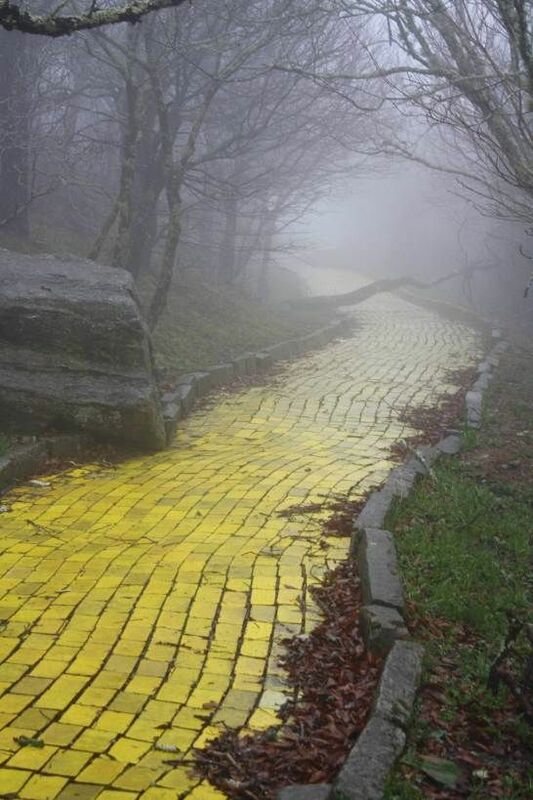 This section of the Yellow Brick Road formed part of a Wizard of Oz theme park that was sadly abandoned in the early 1980s. So far as I can tell, none of the attractions have been dismantled and nature has been allowed to take its course – consequently the Yellow Brick Road has become overgrown. To me, though, this picture is much more poignant than just a story of an abandoned theme park. In the original story, the Yellow Brick Road was how Dorothy found her way to the Emerald City, and from there found her way home. She faced challenges but also made friends. There was something distinctly magical about following the Yellow Brick Road, and seeing it in a state of disrepair makes me unbearably sad. What this picture says to me is that there’s no place for magic in the world anymore; children aren’t interested in following a path to a magical future where wicked witches and great wizards do battle for control of Munchkin land. If it doesn’t have a Pokemon character waiting to be found, you may as well forget it (and don’t get me started on Pokemon Go – tool of the Cybermen if I’ve ever seen one). What this world lacks is that little bit of magic, and if I were able to, the first thing I’d fix would be the Yellow Brick Road. Let’s face it, this is a game we have all played at some time or another – usually when buying our ticket during a monster-sized Euromillions rollover. Eighty three million? I could do a lot with that, thank you very much. The thing is, if I did win that kind of money, what WOULD I do with it? It’s got me to doing some serious thinking and I’ve come to the conclusion that there really is such a thing as too much money. So – and because round numbers make the maths a bit easier – let’s assume I’ve just won £50 million* and have had enough time to get over the shock. What do I do with the money? There are two things I would do immediately – put the money into the highest interest paying account I can find** and hire some security. The latter is not something people normally think about, but if you don’t you could be facing regular burglaries or worse, ransom demands for kidnapped relatives. An unpleasant thing to think about, but the security is a must. On a more personal level, I would buy a new house. Ever since I can remember, I’ve wanted to live in a converted church, preferably with its own graveyard. His Lordship isn’t convinced, but I can buy him a quiet little detached lighthouse in the middle of nowhere if that’s what he wants***. So once the debts have been paid and certain privileged friends and relatives have been given their little nest eggs, I can get the accommodation sorted to my satisfaction. I will probably also buy that castle in Transylvania I’ve been promising myself since God was a boy, but that’s a whole other story in itself. Then what? I think a nice long holiday before I spend my days studying whatever takes my fancy, doing archery in my own private archery range, writing my memoirs and generally being a lazy cow with too much money. Which is, if truth be told, exactly how it should be. * For the avoidance of doubt and to be absolutely clear – I haven’t won £50 million. I don’t even do the lottery. Therefore, please don’t send me begging letters because you’ll probably find out you’re richer than me. ** Tax accountants recommend the money goes offshore for tax reasons. However, I believe that since I won the money in the UK I am still liable to pay UK income tax on it. Once I’ve got that bill out of the way, then I can shift it to the Cayman Islands or wherever. *** He keeps telling me he should have been a lighthouse keeper. Deaf, deaf or Hard of Hearing? This British Sign Language (BSL) course is rapidly turning into a baptism of fire. For a start, when is someone deaf or hard of hearing? Worse, when is someone deaf or Deaf? Before anyone starts levelling accusations of semantics, it is actually very important and the answer will determine the best way for you to communicate with that person. To start with, let’s establish whether someone is deaf, Deaf, hard of hearing or deafened (yes, they are all quite different). A deaf person is someone who has suffered any level of hearing loss at any age from any cause. They may have other language skills (such as lipreading) and sign language may not be their preferred means. I think it tends to be a “catch all” term for people with hearing loss, regardless of any other issue. A Deaf person (with capital D) is someone who belongs to the deaf community and almost certainly considers BSL to be their first language. They are often born deaf and/or have Deaf family members; they certainly have Deaf friends. They are crucial to the study and learning of BSL for all beginners, unlike someone who (say) may use lipreading as a primary communication resource. Added to the mix is the CODA, the Child of Deaf Adults who may or may not be hearing but will almost certainly be a full member of the Deaf community and will probably consider BSL to be a first language instead of English. Someone is hard of hearing if they have lost their hearing later in life. I had been told that you were deaf if you were born with hearing loss, but hard of hearing if you have had the ability to hear at any point in your life, which may or may not be correct. These people will almost certainly not sign as a first resort, and will probably have hearing aids or cochlear implants to boost what residual hearing they have. They may lip read or you may have to speak slower and clearer to promote understanding. Of course, writing notes is always an option! Someone is deafened if they suffer sudden and profound hearing loss due to trauma, illness or even the side effect of medication. Hearing aids/cochlear implants may not be of any help (depending on the cause of the deafness) and, of course, they will not have had opportunity to sign. Learning to lip read is a lengthy process and can be exhausting if one is not used to it. Here, a notepad will be an essential tool, at least until some lipreading and/or BSL can be picked up. And that’s just the first couple of pages of the textbook. I’ve got a long way to go yet…. The traveling carnival is a leftover of a bygone era, a curiosity lurking on the outskirts of town. It is a place of contradictions — the bright lights mask the peeling paint; a carnie in greasy overalls slinks away from the direction of the Barker’s seductive call. It is a place of illusion — is that woman’s beard real? How can she live locked in that watery box? And while many are tricked by sleight of hand, there are hints of something truly magical going on. One must remain alert and learn quickly the unwritten rules of this dark show. To beat the carnival, one had better have either a whole lot of luck or a whole lot of guns — or maybe some magic of one’s own. – Blurb from the back of Carniepunk, an anthology of short stories. In Britain, we have funfairs. Sometimes they’re fixed places, like Dreamland in Margate or the one that used to be in Battersea Park in the 1950s. Sometimes, however, they travel and more often than not there is some kind of circus involved; the one that seems to do the rounds where I live is Santos’ Circus. As well as the circus, there are rides, dodgems, throwing and shooting games to win prizes, try your strength machines and such like. In America, they have carnivals. They are essentially the same as the British travelling circus but to my mind have a much darker edge, much more like the Victorian freak shows of old (you can still find sepia photographs of circus freaks on Google from that period). The sideshows are a little more like performance art, the rides are bigger, louder, faster and there is a magic all of its own. The fact is, this kind of travelling existence tends to create its own mythology; a community that travels together sticks together and so outsiders are generally treated with suspicion until they can prove their value to the community as a whole. It may be that they have encouraged the development of the mythology around them, and if that is so, then fair play to them. It’s very true that the American travelling carnival has retained an allure for some decades; in the 1950s, Ray Bradbury wrote “Something Wicked This Way Comes” which takes place when the carney comes to town; Stephen King has used it as a backdrop to at least one of his short stories (although for the life of me, I can’t remember their titles without resorting to Wikipedia); and in the early 2000s, the TV series Carnivale (set in 1930s Dustbowl America) ran for two seasons. 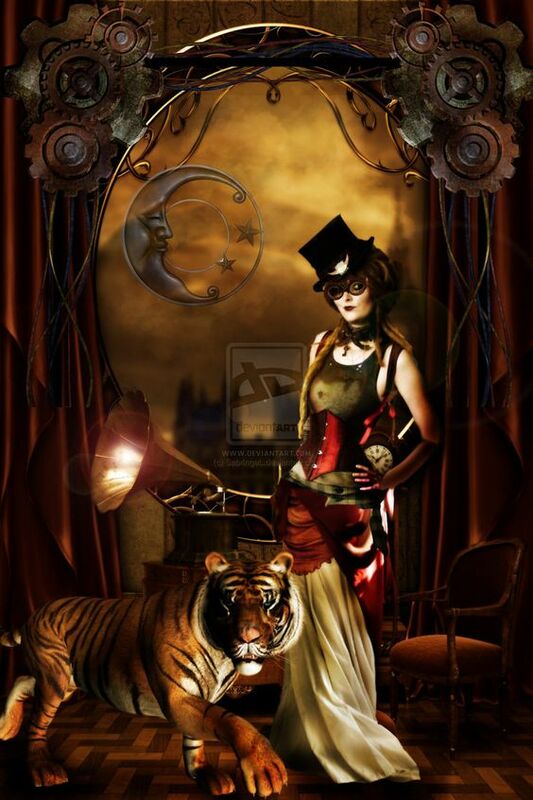 Amongst the goth community, there is a strong feeling of kinship towards the carniefolk, with the circus freaks often inspiring stories, songs and artworks galore. So what is carniepunk? Well, if this anthology is anything to go by – it’s the dark side of the “traditional” American fairground, complete with genuine werewolves, fortune tellers that really can see the future and dark magic galore. I’m not sure any of the stories are any good; a lot of them seem to form parts of series which I haven’t read, and some are distinctly YA-Twilighty… but they are quite fun. Whether or not they are going to set a trend, like the cyberpunk anthology Mirrorshades did in the 1980s, is anyone’s guess. If I were a Victorian lady detective faced with an apparently unexplained death, the first two questions that would spring to mind where whether the house had been decorated recently, and whether the victim had an interest in art. There are reasons for this apparently random train of thought, but the main one is that at that time, the overwhelming majority of pigments used in paints and dyes were highly toxic and could very easily kill. Certainly a large number of deaths were directly attributable to their use. Virtually every colour had a dark side, but the three worst offenders were vermilion (made from cinnabar, a form of mercury), lead white (and its cousin, red lead, both quite literally made from lead) and Scheele’s Green (made from a form of copper arsenide). Even the (then) newly developed synthetic magenta dye was considered highly poisonous and should be used with care – awkward when it was so fashionable. The colours were found absolutely everywhere: fabric dyes, housepaints, wallpapers, painted toys and both oil and watercolour paints used by artists (and genteel young ladies). It is amazing really that anyone during that period lived beyond the age of 48, such was the exposure – but they did, and some did very well on it. It’s quite hard to appreciate just what a fundamental change the development of non-toxic pigments has had on the industrial world. Charlotte Perkins Gilman wrote a famous short story called “The Yellow Wallpaper”, about a woman who slowly loses her mind after being forced to convalesce in a room with said yellow wallpaper. Feminists have for years used considered the story a key text in the history of patriarchal oppression, but looking at it in the context of colours – could it have been the pigment that did this? Indian Yellow was a hugely popular colour in the late Victorian era and was said to have been derived from the urine of cattle fed exclusively on a certain variety of mango. 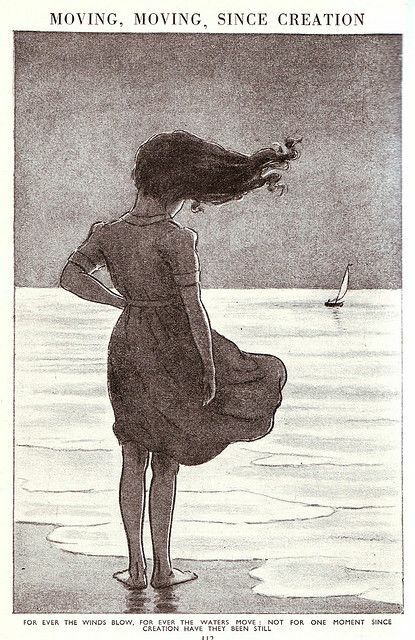 I suspect, therefore, that the pigment it produced would have been quite high in ammonia and other nitrates; it wouldn’t surprise me at all to find out that she was hallucinating wildly as the chemicals degraded into the atmosphere. 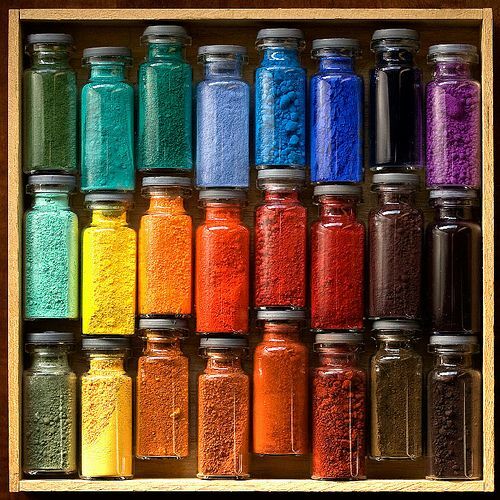 The history of various pigments is a fascinating one and brings with it a wonderful selection of tall stories, horror stories, faraway places and fascinating people. Each story is another episode in the quest for the perfect shade of red, blue, yellow, green, or whatever. The lengths people went to in an attempt to brighten up their lives is both enlightening and sometimes quite sad. There is a definite darkness to the paint box. A friend of mine asked me recently what I would put in a time capsule, if I had one, that would be opened in a century’s time by my grandchildren or great-grandchildren (or, knowing my luck, some unrelated archaeologist wondering what the box is all about). If I’m going to be brutally honest, this isn’t something I’ve ever thought about, even though I find the whole idea of a time capsule interesting. I’ve clearly watched too much Blue Peter growing up. But I’m now thinking about it; what would I put in a box to be opened in a hundred years’ time? Admittedly, for some of the stuff I’d quite like to put in, it would have to be a fairly large box, but I think I could keep the archaeologist (or descendant) who digs it up interested for a week or two. I’ve limited myself to six because I’m also aware that I can’t really bury my entire life, much as I’d like to. So here goes – here’s what I’m planning to put in my time capsule. 1) Photos of me and my family. I don’t know why, but perhaps because I’d rather like the idea of whoever digs it up finding out what we all looked like. I’ve got photos of people I barely remember (and then only as very elderly people) in their youth, and it’s fascinating to see how they changed over the years. Of course, I’m going to have to remember to label them all very carefully so that nobody gets mixed up. 2) A bow and some arrows. I think this is why it’ll have to be quite a large box, although surprisingly, this doesn’t take up a great deal of room. I might have to include instructions on how to put it all together though. This will be interesting, as bow technology is progressing all the time, and it would be rather nice to have something recognisable throughout history in the box to see how things change. 3) Three books – Lord of the Rings, Hitchhiker’s Guide to the Galaxy Quadrilogy and the Gormenghast Trilogy. I love these books, and fortunately have single volume copies of each of them. I could, very easily, put in thousands of books, but these three I can read and reread and never get bored. 4) Some old technology – a mobile phone, a CD player, some DVDs. By the time my capsule is retrieved, I doubt very much any of these would exist outside of museums, or if they did, they’d be unrecognisable. They almost certainly wouldn’t work without extensive adaptations! And if they did ever work again, that raises whole questions of what CDs and DVDs I would put in. I can’t think about that now. My head would explode. 5) A couple of volumes of my diary. I’m not a great diary keeper, but I’m thinking purely in terms of social history here. And, of course, by the time this capsule is dug up, handwriting on paper may well be a thing of the past. Besides, my handwriting would give archaeologists years of puzzling over. 6) Seeds! Now, I’m the first to admit that I’m not a gardener, but I think it’s important that a representative selection of flower, fruit and vegetable seeds be stashed away, on the principle of heritage and genetic variation. Plus the fact they don’t take up a great deal of room, and might give an idea of what I used to eat. So there you have it. What would you put in a time capsule if you had to build one? Having read Charles Darwin’s Voyage of the Beagle, I thought I’d try Alfred Russell Wallace’s journal of his voyage through the Malay Archipelago, especially since it’s a region of the world I rather like (at least, a lot more than I do South America) and although it’s very well written, I am still shocked by just how many creatures Wallace killed. I think he got through at least a dozen orang-utans, and goodness knows what other rare creatures we only know about because he preserved specimens, as they are otherwise extinct. 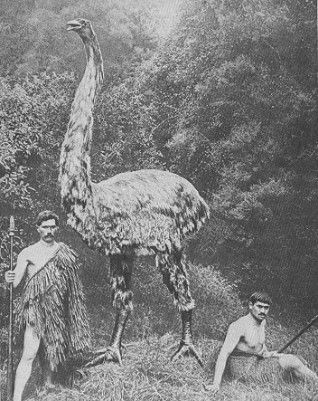 This was the fate that befell this wonderful creature, the giant moa, at one time the largest flightless bird in the world. As you can see, it’s quite a bit bigger than an ostrich, but has been hunted to extinction. Consequently, this is a valuable photograph as it allows us to see what it looked like when alive. Unfortunately, it’s not in colour, but you can’t have everything. All we know about the dodo is from preserved specimens; the same applies to the Tasmanian tiger, one of the Galapagos turtles, the auk and a whole range of other animals. It will soon apply to the Amazon river dolphin, the orang-utan and the water vole. Hunting and habitat loss has done untold damage to these creatures, rendering them critically endangered and ultimately extinct. Zoos do leave a lot to be desired, but I would much rather a creature lived in captivity than cease to exist otherwise. It is often through the breeding programmes of zoos and wildlife parks that a species manages to survive and eventually return to the wild, albeit in an environment unlike one it would have survived in for hundreds of thousands of years. It’s not right, I know that deep down, but while people persist in hunting and destroying forests, then this is the reality we have to face. Just keep the spiders well away from me, thanks. 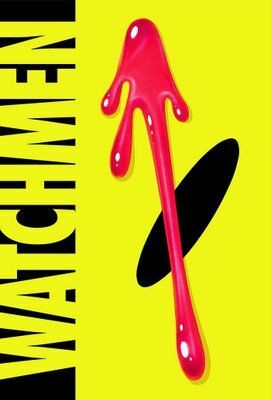 Is Watchmen Really the Best Graphic Novel Ever? Top of the tree of SFX Magazine’s recent “100 Greatest Graphic Novels” special issue – and which comes as no surprise to anyone who reads graphic novels – was Alan Moore’s Watchmen. First published in 1986, it turned the idea of superheroes completely upside down and, alongside Frank Miller’s seminal The Dark Knight Returns, foretold a darker side to comics which hasn’t really gone away. More reminiscent of DC’s Justice League than Marvel’s Avengers, a team of costumed vigilantes whose fates have diverged dramatically, with some living just under the radar (and probably on the wrong side of the law) while others are successful, either as businessmen, scientists or government sponsored assassins. In the guise of a murder mystery, a massive conspiracy unravels which (without giving the plot away) serves to shine a light on the damaged figures who tend to become costumed vigilantes. I mean, would Batman really be Batman if he hadn’t been an orphan? It’s wonderfully written, raising intelligent questions while giving the reader memorable characters and some stunning artwork. But is it the best graphic novel ever written? What I found interesting about the list was that my choice came in at number 2 – Maus, a retelling of the Holocaust featuring rodents and is one of the very few graphic novels that has actually made me cry (another one also made the list – We 3 by Grant Morrison). Although it perhaps wasn’t the game-changer that Watchmen turned out to be, Maus introduced many young people to a difficult historical subject in a novel and very moving way, without shying from the violence and devastation inflicted. I found it a great read at school and would happily recommend it to any child studying the subject at school as an introduction. Having said all of this, any of the top five could easily have been the Greatest Graphic Novel. I’m just not convinced that Watchmen is it. I may have mentioned on this blog previously that I like comics and, consequently, I’m on first name terms with the chap in my local comic shop, who has got to know my tastes fairly well and frequently fishes out obscure gothic steampunk graphic novels for me to consider. He’s a nice chap, Graham; but it seems business isn’t going so well, despite the plethora of blockbuster movies and TV series based on comics of one kind or another. Strange as it sounds, blockbuster movies from the likes of Marvel and DC don’t actually translate into an increase in comic book sales – so in terms of getting a whole new audience reading the source material, they are a dismal failure. The thing with these movies is the merchandising, which can be picked up in toy shops, supermarkets (I’ve seen Iron Man and Hulk stationery in Sainsbury’s) and online – why bother with a comic shop? The fact that these movies wouldn’t even exist without comics seems to escape people’s notice. Comics (and by extension, graphic novels) are a wonderful way of exploring story without spending an arm and a leg (and probably some internal organs) on making a movie with lots of special effects. They are, to be fair, no match for regular books in my opinion, as I will always favour the power of the imagination, but some stories are simply best told visually and comics are the way to do it. And they don’t have to be of the superhero variety either – Maus and Persopolis are two graphic novels that deal with very harrowing episodes in history in a way that younger readers can understand. 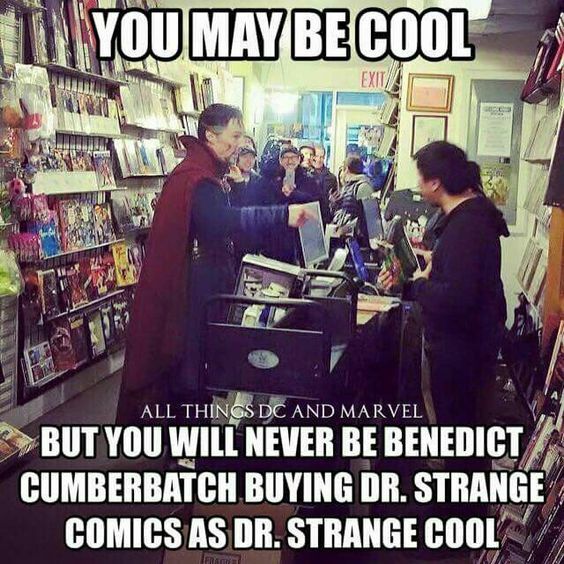 Not all modern comics and graphic novels are for children, of course – in the same way that not all novels are for children either – but an experienced comic shop owner such as Graham would be able to steer younger eyes away from things they shouldn’t be reading, or point them towards something that they might find of interest. When I was growing up one of my favourite books was the Children’s Encyclopaedia, by Arthur Mee. Ten volumes in dark blue board published in the mid-1920s for an audience still reluctant to abandon notions of empire and greatness. Originally published as a partwork, my grandparents had managed to find a complete bound edition, and every evening I devoured a little bit more. Through this, I learned to read, write and count; I read stories and poems, histories and basic French; I saw pictures (heavily censored I now realise) of great artworks, far flung places across the globe and even the essentials of heraldry. I even managed to make “a simple battery a clever boy can make” despite not being a clever boy! The picture at the top is the one which starts the Encyclopaedia and is typical of the tone it sets – a ship of knowledge on the horizon of learning, or some such twaddle. It’s very old fashioned and I wouldn’t dream of using it as a resource for anything, apart from possibly classic poems and perhaps the odd fairy tale. That said, I hold it in great affection, and when the original copy with which I grew up was destroyed in a flood, I endeavoured to replace it. I’ve got it in partwork format now and I think I’m missing the last two volumes, but what I have got I still read with a big smile on my face. Most of the photographs are contemporary and are interesting now as historical documents themselves. They really do show a world that we will never again witness, of a time when electricity was only just becoming a universal source of power and steam was still very much the order of the day. I’m not sure whether many children these days would believe in the ideas of the piano fairies, but it got me through a few music lessons. I’d be devastated if I lost this again, because I think by now it’s pretty irreplaceable. That’s a shame, because despite all its faults, it is actually pretty thorough and quite fun to read – even if all you do is look at the pictures.